LONDON — It was a glum week for the FTSE 100 (INDEXFTSE:UKX), with the index of top U.K. stocks losing 98 points (1.5%) to end on 6,287. Fears over commodities demand has depressed mining stocks yet again, with some commentators even suggesting the index is heading back below the 6,000 level. And there has been mixed news from China, after a report of lower-than-expected inflation was followed by disappointing growth figures. Here are some of the biggest-moving FTSE 100 (INDEXFTSE:UKX) stocks this week. The GlaxoSmithKline plc (ADR) (LSE:GSK) price headed further upwards ahead of first-quarter figures expected on Wednesday, gaining 82 pence (5.2%) to 1,652 pence, despite accusations late in the week of market abuse. Charges that the pharmaceuticals giant paid off rivals to delay the introduction of generic alternatives to its depression medication Seroxat could result in a fine of up to 30% of relevant turnover — but that would be a relatively small amount for a company of its size. 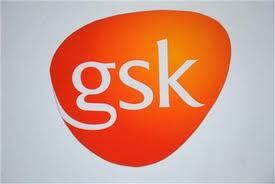 GlaxoSmithKline plc (ADR) (LSE:GSK) insists that it has acted within the law. A trading update from Verizon Communications Inc. (NYSE:VZ) sent Vodafone Group Plc (ADR) (NASDAQ:VOD) stock to a new 52-week high of 196 pence, after the U.S. giant made positive noises about the possible sale of Vodafone Group Plc (ADR) (NASDAQ:VOD)’s 45% stake in joint venture Verizon Communications Inc. (NYSE:VZ) Wireless. The on-again/off-again disposal has been perking up interest for months now, with a large capital gains tax being one possible pitfall. But Verizon Communications Inc. (NYSE:VZ) CFO Francis Shammo has now suggested that any such deal “could be accomplished in a manner that is very tax efficient,” raising hopes that the deal might be on again. Mining stocks suffered badly again, with Polymetal International PLC (LON:POLY) hitting a 52-week low of 700 pence on Friday, though it ended a little up on that figure at 714 pence. The fall, of 145 pence (17%) over the week, came even though the Russia-based miner of precious metals released relatively positive results for 2012. But the falling price of gold, which hit a two-year low at the start of the week, certainly doesn’t help. Outside the mining sector, Tesco Corporation (USA) (NASDAQ:TESO) was one of the week’s biggest FTSE 100 (INDEXFTSE:UKX) losers, after the supermarket giant confirmed its exit from the U.S., where it failed to gain sufficient market share with its Fresh & Easy chain. The withdrawal was expected, but a 1 billion pound write-off, together with an unexpected writedown of 804 million pounds in U.K. property assets, had some investors reaching for the “sell” button. The Tesco Corporation (USA) (NASDAQ:TESO) price ended the week 25 pence (6.4%) down, to 363 pence. The article FTSE Shares That Soared and Plunged This Week originally appeared on Fool.com is written by Alan Oscroft . Alan Oscroft has no position in any stocks mentioned. The Motley Fool recommends GlaxoSmithKline, Tesco, and Vodafone Group (LSE:VOD) and owns shares of Tesco.